This steering wheel was designed exclusively for the Toyota 86 and the Subaru BRZ, which enjoy overwhelming popularity among active driving enthusiasts. It was developed and engineered by thoroughly taking into consideration the driving performances of the various models of the Toyota 86 and the Subaru BRZ, including tuning specification models and racing specification models as well as production models. In order to maximize the characteristics of these compact, lightweight FR sport cars, we focused on achieving a supple feel and good fit of the steering wheel under the driver’s palms, features for which Key’s Racing is renowned. For FR sports cars, acceleration is referred to as the second steering. This is because being able to control the vehicle’s behavior freely by opening or closing the throttle valve represents the appeal and real excitement of driving FR sport cars. Our steering wheels are meant to bring out fully all the appeal of FR cars so that drivers can appreciate their nimble footwork. A driver should not grip the steering wheel tightly, but rather rest his or her hands on it lightly. This philosophy has been handed down to this series of steering wheels. Consideration has been given to passive safety performance, with the steering wheels incorporating the original factory-fitted airbags of these cars’ production models. This steering wheel was designed exclusively for the Toyota 86 and the Subaru BRZ. 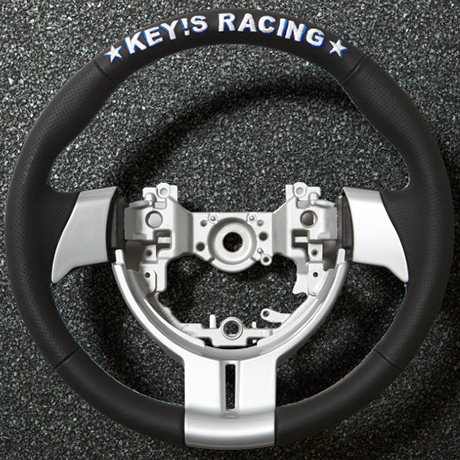 While it retains Key’s Racing’s signature thick grip and high stiffness, it incorporates the original factory-fitted airbag and in this way delivers both safety and the excitement of sports driving. It is also compatible with the Scion FR-S and other export specification models. I hope you enjoy this one-of-a-kind, handmade steering wheel. Replacement can be done in the same way as replacing a factory-fitted airbag. Although it is possible to do it yourself, we recommend that you take your car to a service workshop or car dealer where an extensive array of tools is available. The steering wheel can be mounted on export specification models, including the Scion SR-S. This gear shift knob is made exclusively for the Toyota 86 and the Subaru BRZ. The ball-shaped knob has been designed in a way that highlights the woven patterns of the carbon fiber. Combined with solid aluminum, it generates a sporty feel and features a masculine Spartan design different from Key’s Racing’s classic quality leather material. 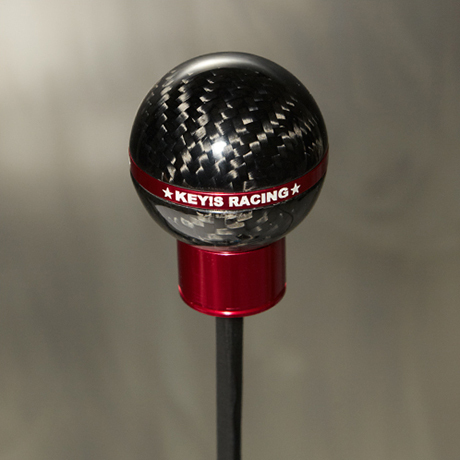 Using ball-shaped carbon as the body base, we applied a transparent coating and attached an aluminum ring to encircle the knob. Each carbon pattern has a unique expression and the one-of-a-kind character synchronizes taste-wise with the steering wheels of the same series. 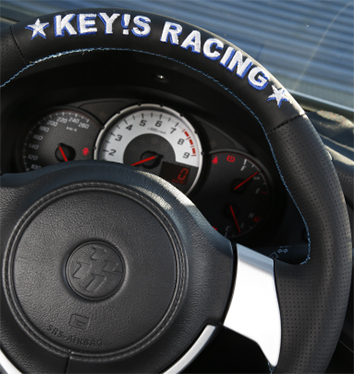 The aluminum ring features an engraved KEY’S RACING logo in white. The knob measures 45mm in diameter, just the right size to grip. It weighs 110g.